Think of this as an analogue robot. 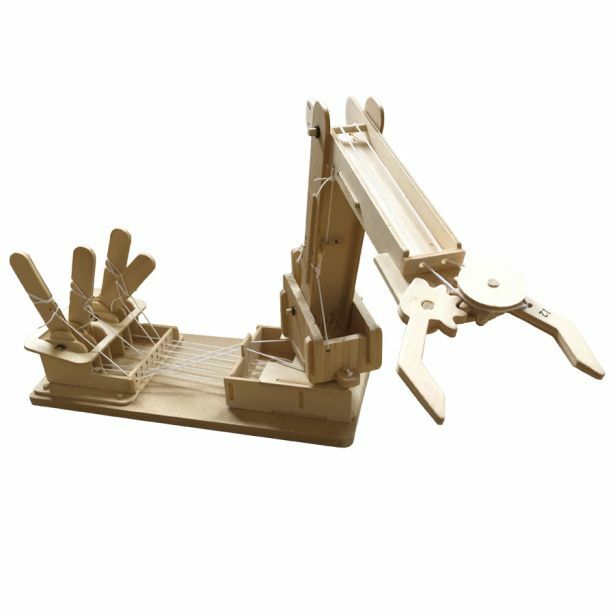 Wood and string combine to make a precision grabbing device. 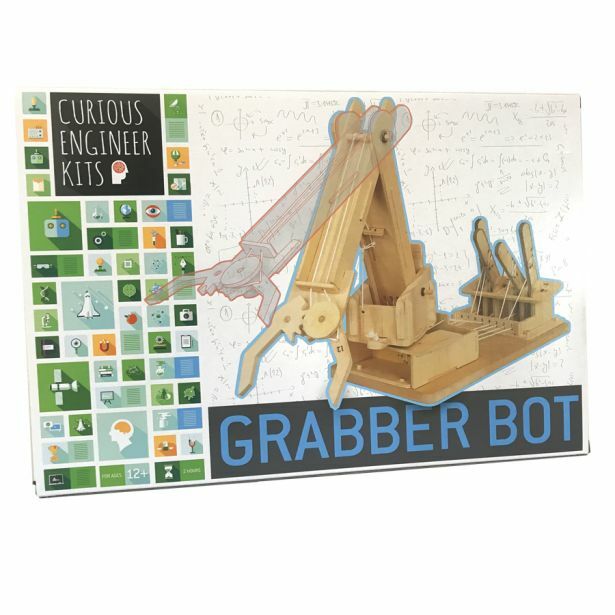 The builder controls the bot with levers and string makinga very satisfying and ingenious kit.